Next, the discos were installed. 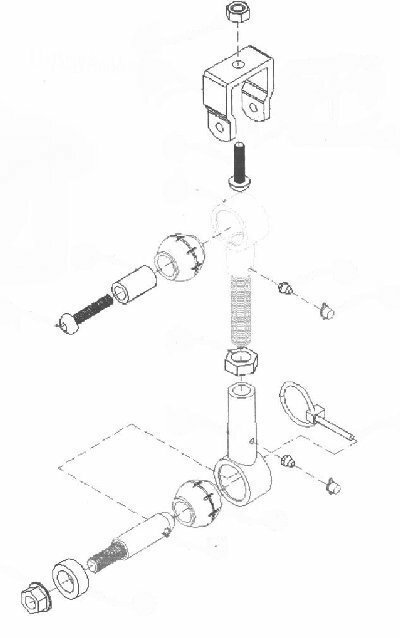 We started by bolting the pin (bottom of diagram) into the axle. Then we installed the U-bracket ( top of diagram) on the sway bar. A bolt and bushing attach the upper eye of the disco to the bracket…using loctite on the threads to make sure it does not back out. 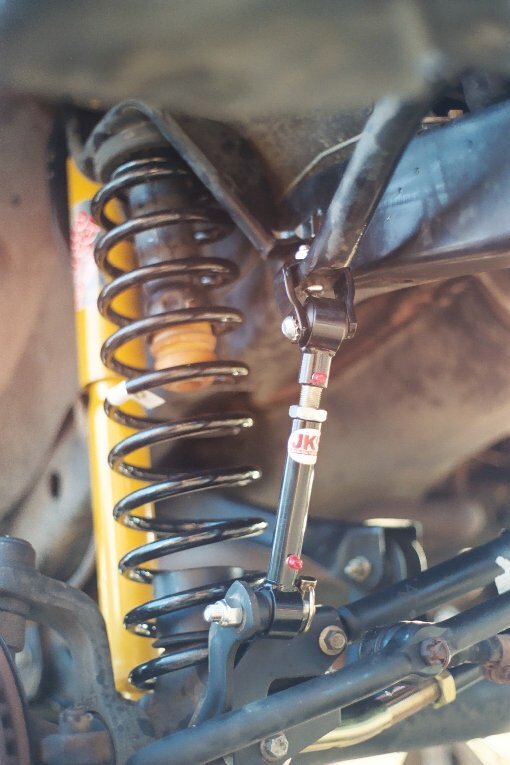 After the entire lift install was done and the Jeep was sitting on level ground, we adjusted the length of the disco's ensuing that the sway bar was in a level position, connected them at the bottom and greased the hell out of them.